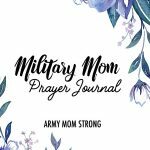 Communicating with your Military deployed son or daughter will help you stay sane during your child’s deployment and help you to support your soldier! There are many ways to stay in touch with your deployed son or daughter. 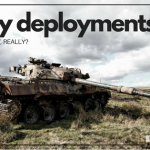 Much depends on their deployment location and what is available to them. If possible, attempt to get information from your child before they deploy so you can be prepared to communicate! 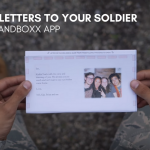 The easiest way to stay in touch with your deployed loved one is via the United States mail. Be sure you get your child’s Military address – this is an APO AE address. Military APO (Army Post Office) and FPO (Fleet Post Office) service offers mail delivery at hundreds of Military Post Offices overseas. You can order priority mail boxes and supplies from the United States Postal Service – it’s free! Be sure to get the Priority Mail APO/FPO flat rate box, which features a predetermined rates regardless of weight (domestically) or destination. The cost is $11.95. You can fit a lot in the box! Under-report the value on the Customs Form. To discourage theft. Always check “Gift” on the Customs Form. Potential duty import taxes can be avoided. Get more information about USPS shipping. 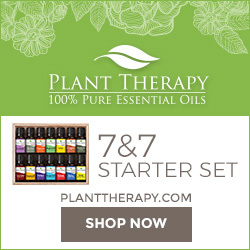 (addressing tips, packaging tips, ordering USPS supplies, mailing restrictions). Your son or daughter may or may not have Internet access while deployed. Again, try to get this information during pre-deployment so you can be prepared. You will need to know your soldier’s email AKO address (Army Knowledge Online – @us.army.mil) or, if they have a personal address you should already have that. Many soldiers brings their own laptops while deployed to Iraq or Afghanistan. Keep in mind that Internet access, if available, is NOT secure. The cost can be high. 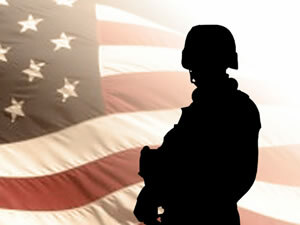 My son is deploying to Afghanistan and they will have a whopping Internet bill of $1000 per month! I know, it’s outrageous that our loved ones put their lives on the line and still have to foot the bill to stay in touch! You will need to use the instant messaging feature in AKO, which means you need to have a soldier sponsor you and get a guest account. This is usually reserved for family. 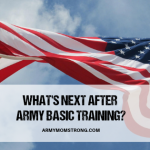 Soldiers used to be able to use Yahoo, AOL and MSN IM programs to communicate with families back home but that is being restricted in more locations now due to security concerns. There may be DSN (Defense Switched Network) phone centers and AT&T phone tents located at U.S. bases in Iraq and Afghanistan. Your soldier may be allowed free 15-minute “morale calls” to call family back home. You can also help your Soldiers by providing low-cost prepaid phone calling cards to call back home. Your soldiers may also be allowed to use a personal GSM cell phone or satellite phone to call you! The cell phone charges can be very expensive. If this is the case, have your soldier call you and then you can use a cheap international prepaid phone card to call your child back on the cell. Often there is no charge for incoming calls if using a local cell carrier such as IraqNA. Soldiers used to be able to use Yahoo, AOL and MSN IM programs to setup video chat sessions with webcams on either end to communicate with families back home but that is being restricted in more locations now due to security concerns. Check with your child to see if they are able to use such services. 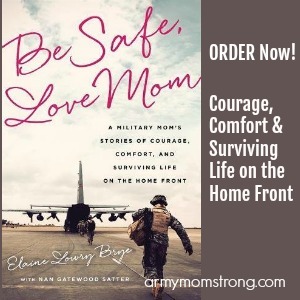 Many Army Moms I spoke with chat frequently with their sons and daughters via instant messenger. Does this app also work for those who are deployed to Afghanistan as well?